They came up with so many different, convincing effects that they received a call from Personnel asking them to leave the lights on for the janitor when they left for the night. Gracey and Crump complied, but rigged an infrared sensor in the middle of the room. When triggered, the lights turned off, the black light came on, and the effects activated. They arrived the next morning into find a broom in the middle of the room. Later that day, they were told they would have to clean the room themselves; the janitor would not go back in the room. Gracey and Crump kept a playful attitude, worked with humor and were open to new ideas while they designed, researched and tested the effects for the Haunted Mansion. 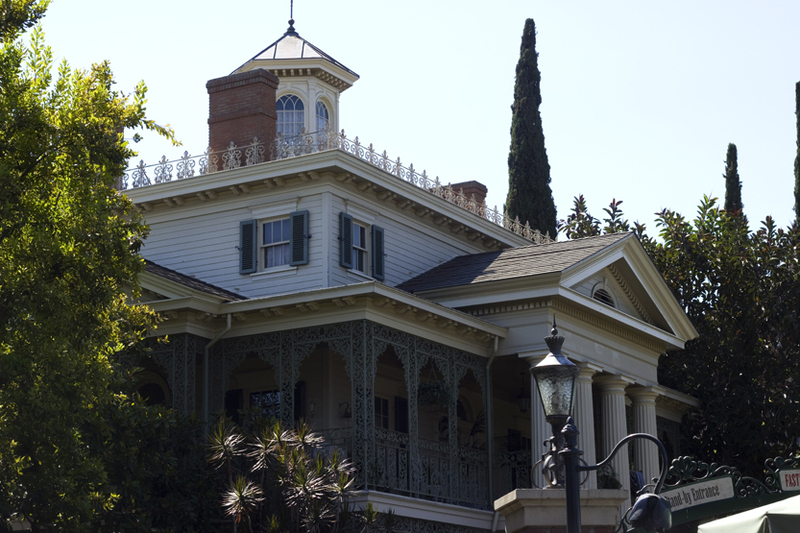 Their play made the Haunted Mansion the classic attraction it is today. Playing can help you become more creative. When you play, mistakes become a part of the story and you can’t fail. You free your mind to explore possibilities and new ideas while limiting your inhibitions. R2-D2 builder Tony Dyson believed that play was an important part of the creative mode. Join us at Lilac City Comicon 2019 and Ogden UnCon 2019 to experience our panel “The Haunted Mansion: 50 Years of Creativity.” Make sure you tell them penguinate.com sent you! To read more about play and other secrets to creativity, join our Patreon.